The fresh and third album entitled “Na Eira” that means “threshing floor” was released on November 22, 2016. The album, recorded in 4 countries, combines the efforts of 15 musicians, in-turn encompassing 10 different nationalities. “Na Eira” is a global effort that fosters the similarities and celebrates the differences between cultures to create a unifying sound. Marques hasn’t strayed from his passion of collaboration and the original melding of sounds, cultures, talents, instruments, and genres creating a connection between people and continents. 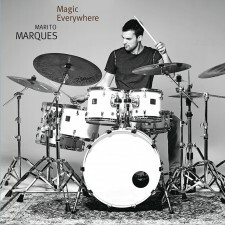 The album is strongly influenced by Marques’ birth country Portugal and takes further inspiration from the PALOP countries, it was recorded in France, Spain, Portugal, and largely in Marques’ now-home Toronto, Canada. 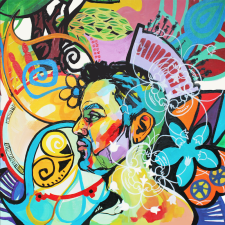 “Na Eira” also has significant contributors from varying places in between, including; Jorge Pardo, world renowned Spanish flutist, who contributes to two-songs as well as performances from Woz Kaly, Senegalese singer, on an additional two-songs. As the composer and producer Marques’ ambitious and collective spirit are highlighted in his ability to combine the talents of international musicians.